The Program Officer Literacy Field leads the strategic and tactical execution for implementing Room to Read’s Literacy program at the field level for a set of schools and also responsible for serving as the technical expert in the field on literacy skills and the habit of reading. The Program Officer Literacy Field serves as the main point of contact for school leaders and coordinates the work of Literacy Facilitator at schools in their jurisdiction. The PO-LF reports to the Field Operations Manager and manages a set of Literacy Facilitators. Program Management, Implementation, Monitoring and Coordination. • Responsible for managing the ongoing implementation of the Literacy program for a set of schools, ensuring timely, efficient and well-coordinated implementation. • Responsible for technical oversight of Literacy Facilitators, ensuring ongoing technical professional development and support. • Conduct and facilitate training workshops for teachers, librarians and head teachers on activities promoting literacy and library development. • Provide information to the Instructional Design Teacher Support Program Manager to assist in development of curriculum and materials for teachers’ and head teachers’ literacy and library training’s. • Serves as the primary person responsible for the project management of Literacy program at field level, implementation, fostering and monitoring relationships with his/her set of schools, communities and partner NGOs. • Serves as the main point of contact for school leaders should issues arise, and should visit each school under his/her responsibility as per the guidelines in assessment criteria. • Responsible for ensuring schools receive materials and furniture at the appropriate time. • Prepares cash advance, settlement, and reimbursement for program activities. • Manages the set of Literacy Facilitators for his/her set of schools; these Literacy Facilitators also have a dotted-line reporting relationship to the Instructional Design Teacher Support Manager/Officer for technical support and guidance. • Supervises and oversees the work of his/her field staff and is responsible for optimizing their productivity through effective management and leadership techniques (i.e., coaching/advising). • Ensures his/her field staff are consistently complying and adhering to policies, procedures and guidelines articulated in the Country Office handbooks, and facilitates the dissemination of information to all direct reports to promote transparency. • Supports his/her field staff through consultation with Country Office-level technical team to regularly assess staff capacity-building needs. • Ensures the performance management process is well-planned and conducted in a timely manner for all direct reports. This includes setting performance goals, conducting one on one check ins, providing feedback, conducting mid and year-end appraisals, and making recommendations for staff development and career advancement. • Ensures that his/her field staff are aware of and understand the programs’ goals and objectives, working approaches and methodology, and have all necessary information, related to annual plans, targets, and implementation calendars. • Organize all logistics (i.e., venues, transportation, lodging, meals, etc.) 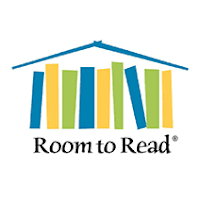 for Literacy program training’s for Room to Read staff, teachers, and librarians. • Prepare cash advance, settlement, and reimbursement for program activities. • Participate in regular all-staff review meetings and any other activities as required to be undertaken to fulfill the objectives of the organization. • Participate and build relationships through donor site visits and provide information to donors about Room to Read’s Literacy program as needed. • Coordination of Literacy activities and events as per Literacy calendar. • Perform other duties as assigned by direct supervisor. • Monitors and gathers information for reports on the status and progress of project sites for his/her set of schools; analyses and makes recommendations to the Field Manager. • Assists with information for the annual plan of action and budget for the Literacy program. • Document best practices and lessons learned during field work and share with relevant Literacy program staff. • Submit monthly and quarter reporting activities as needed. • Participates in regular meetings with local government partners and community.